How to wash the painting things? 2 How to wash the painting without losing the original color? 2.1 How to wash the fading things in the washing machine? 2.2 How to rinse molting things? 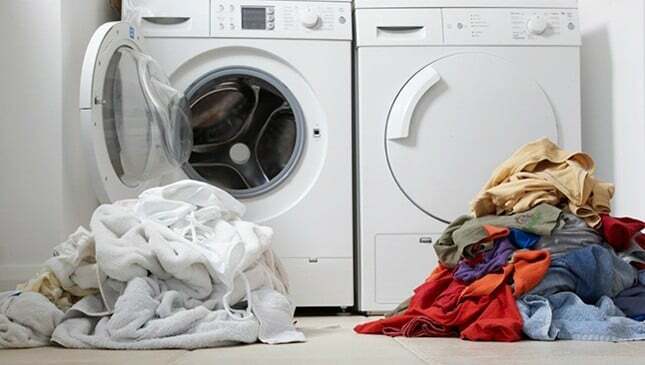 Sooner or later everyone will probably have a situation when, at the end of the washing process, colored clothes are taken out of the machine instead of the usual clothes. This happens, as a rule, out of ignorance and inexperience of the hostess. To avoid such situations, you can follow the simple rules that will be given below. Distribution of clothing in color. Analysis of the composition of tissues. Another important rule is to pre-test the material for durability of paint. This can be done in the store by slightly wiping the surface of the fabric with a white damp cloth. In the event that the thing you like is painted, the cloth will be painted, otherwise its color will remain the same. At home, you can check color fastness in several ways. The easiest way to do this will be with iron and gauze. To do this, lightly wet the thing, cover it with gauze and iron it with an iron. In the event that the gauze has changed color, the thing can be safely attributed to the painting. How to wash the painting without losing the original color? Each owner of a bright wardrobe or colorful bed linen will be useful to know how to wash the painting things and preserve their color. To begin with, determine the degree of molting. Make it pretty simple. It is enough to rinse the product or linen in water several times and look at the amount of paint released. If there is less and less paint with each subsequent procedure, then the laundry is not painted much and you can get rid of the excess paint. 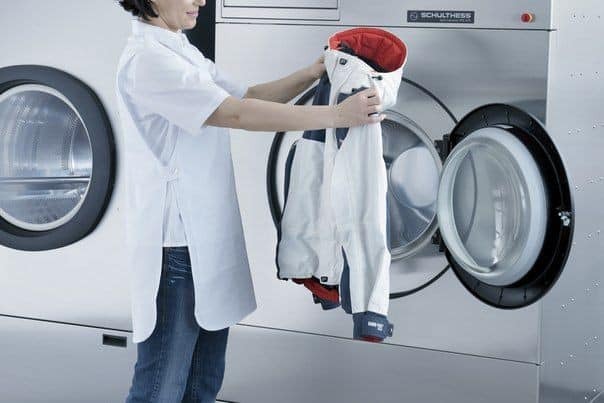 Wash such products can be both manually and in the washing machine. Their washing is carried out in two stages: preliminary (soaking) and main. Soaking is carried out using salt or turpentine. Which of the means to use in each case depends on the type of fabric. So turpentine solution is applicable for cotton fabrics, of which usually bed linen is sewn. Cook it easy. To do this, add only a liter of water to add half a tablespoon of turpentine and mix thoroughly. For all other tissues, a saline solution is used, which is obtained by dissolving a tablespoon of salt in a liter of water. After preparation of the solution process begins Prewash - soaking. A new thing is immersed in a cold solution and soaked in it for about an hour. 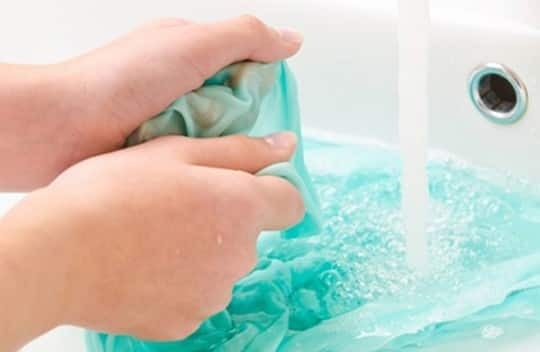 After that, it must first be rinsed thoroughly in cold water and then washed at a temperature of 30 ° C. When washing it is recommended to use products specifically designed for colored things. How to wash the fading things in the washing machine? Turn the inside out and zip up all the existing zippers and buttons before washing. How to rinse molting things? To better fix the color rinse colored things is recommended with the addition of salt, soda or vinegar. The choice of means depends on the color of the product. So for rinsing clothes of blue, yellow and pink flowers it is recommended to use acetic solution. To prepare it, you only need to stir in a liter of water 1 Art. spoon of table (9%) vinegar. This dosage is designed for hand rinsing, for a washing machine the amount of vinegar increases to 5 Art. spoons. For rinsing clothes of red or blue color, soda solution is used, which is obtained by dissolving a teaspoon of soda in a liter of 1 water. Salt solution is used to fix the black color (a pinch of salt per liter of water). 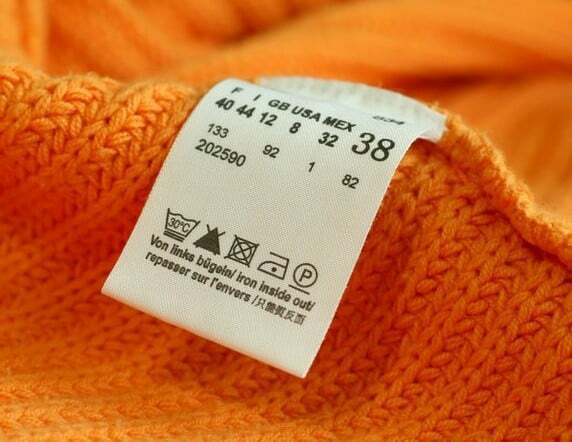 Before washing, be sure to read the label on the clothes. It is important to follow the basic rules of any washing: distribute things by color and composition, check for staining. Any colored items or bedding before washing should be checked for the degree of molting. According to the obtained results, either the excess dye is washed away or the color is fixed. It is possible to fix the color both before washing and after it, during rinsing. It is possible to erase the things painted both manually and in the washing machine, following the recommendations indicated on the label. 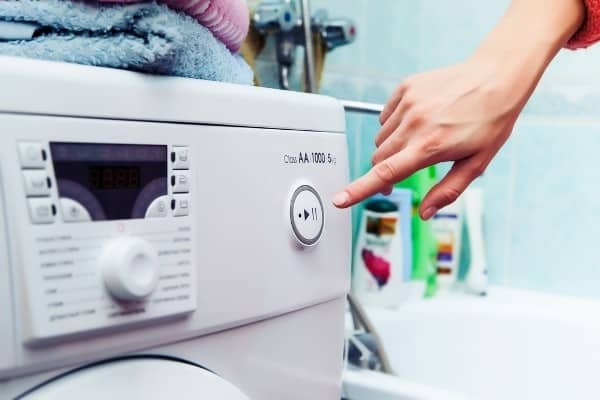 In the event that they are absent, a delicate mode of washing is selected at a temperature not higher than 30 ° С and minimum spin. Ironing of molting things is carried out from the seamy side after their complete drying. 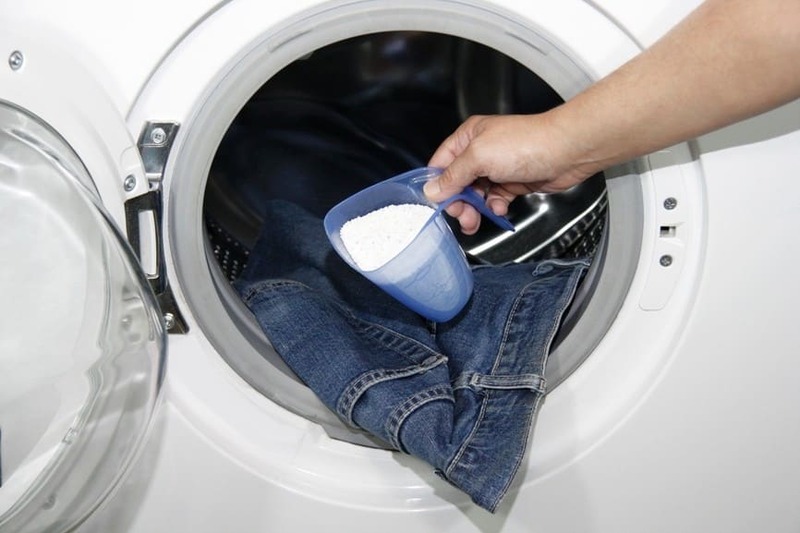 When washing colored items manually, it is important to completely dissolve the powder before placing the product in the water, otherwise the remaining grains may discolor some parts of the fabric. 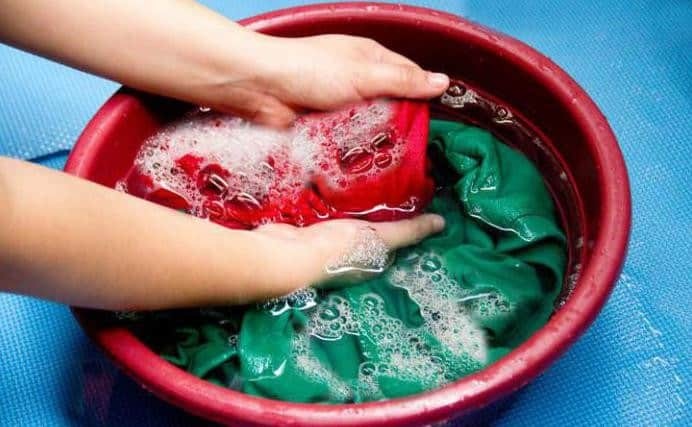 When washing colored wool items, mustard powder can be added to the water. How to wash down shawl?